Joshua's Girl: Fall Swap Reveal!! 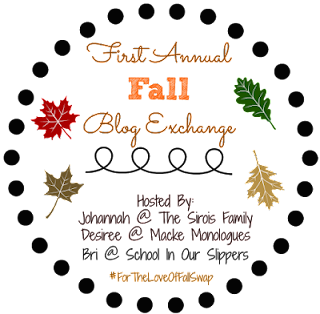 I participated in the First Annual Blogger Fall Swap Hosted by Johannah, Bri & Desiree! I've never particpated in one before, so I was excited to do so. My blogging swap partner was Justine from Full Hands Full Heart. Check out her blog!! Tons of great posts!! My package was full of wonderful goodies! A gorgeous wrap scarp from Eleanora. The blue color is just gorgeous. A set of notecards (always useful!! ), and of course my favorite part were the goodies from Bath & Body Works. 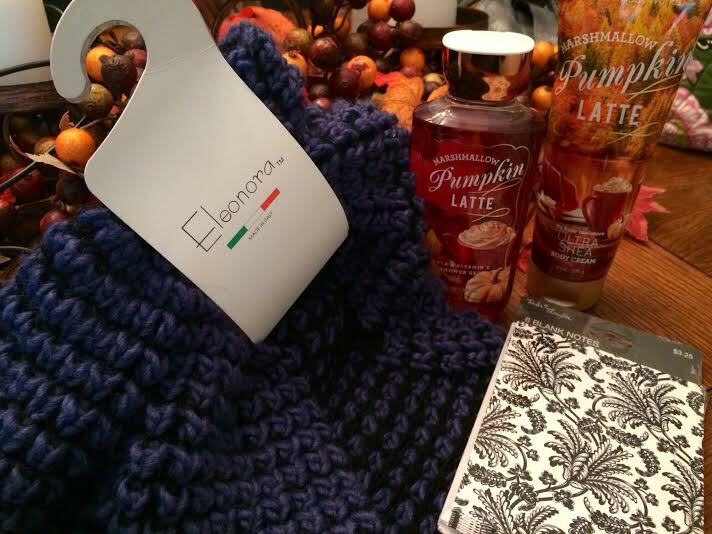 I LOVE anything Pumpkin, and anything coffee related. The smell is amazing!!!! Definately a new favorite scent for me. It was fun choosing goodies for someone else. Kinda like Christmas in fall, hehe!! ;-) Happy Wednesday! And a huge thank you to Justine for my lovely gifts! !